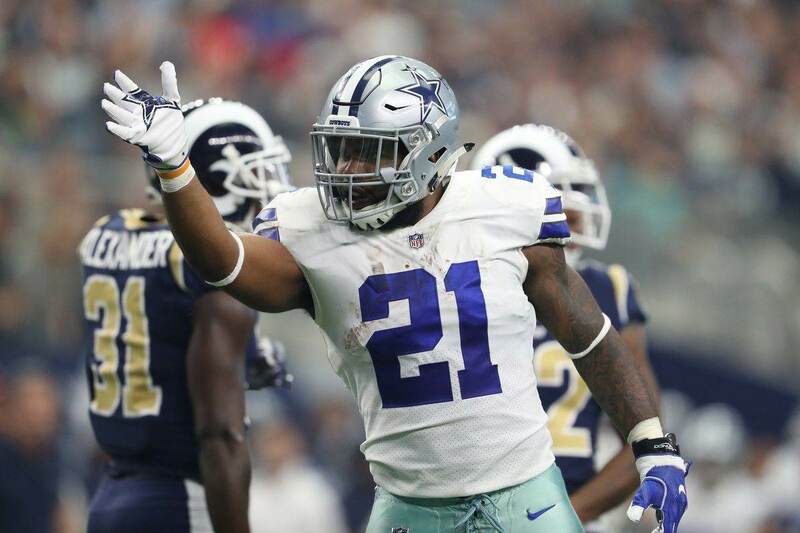 When Ezekiel Elliott lobbied for the Dallas Cowboys to select Wide Receiver Noah Brown in the 2017 NFL Draft, it was the blocking of Elliott’s former Ohio State Buckeye teammate that drew rave reviews from Elliott. 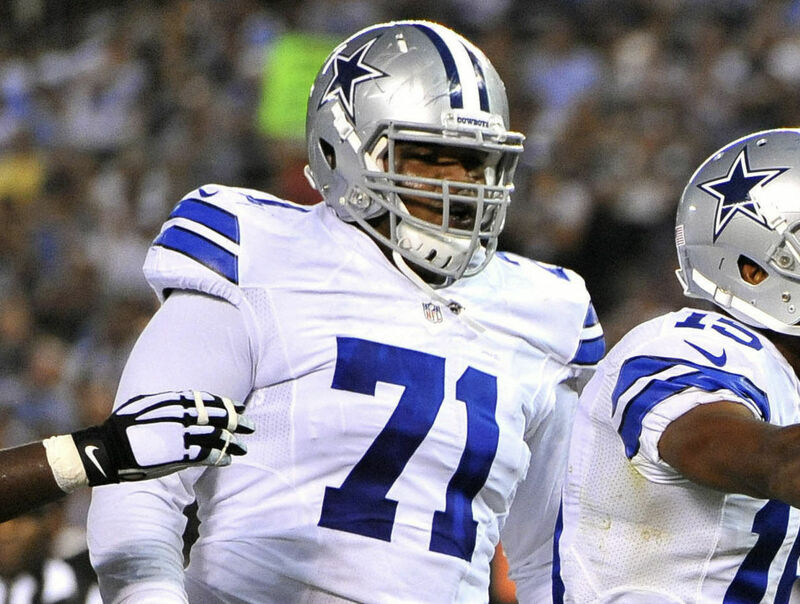 The Dallas Cowboys likes what they saw and made him a seventh round selection that year with the hopes of utilizing his excellent run blocking in their run-heavy offense. Noah Brown was slowly integrated into the offense his rookie year, and found a role in the Vince Mayle mold. That player who has the size to motion in-line and crack line backers, but also the ability to move in space to neutralize defensive backs in the run game. Not big enough to be a full-time tight end, but does everything you want your tight end to be. Injuries derailed his 2018 season thus far and when he finally got back into the lineup the results were mixed. Solid blocking, but also drew a couple of penalties and wasn’t effective in the passing game. He saw his largest offensive snap count of the three games he's played this season and third highest total of his career. On Thanksgiving Day, Noah Brown flipped the script and made a big impact for the Dallas Cowboys offense. Let's take a look at what makes Noah Brown such an important piece for the Dallas Cowboys. On this play you see Noah Brown motion into the backfield and on the snap works across the formation to engage the linebacker on the second level. He uses excellent leverage and positioning to neutralize the defender. It's a modest gain for Elliott who cuts back against the grain and Brown limits the linebacker's ability to flow with Elliott. The league leading rusher runs it in for a score. This time Brown coming in motion draws the attention of Safety DJ. Swearinger. Again, Elliott cuts back to the weak side of the formation where he finds more running room, but Brown's ability to occupy Swearinger prevents him from being able to work to the play side and gives Elliott more room to run. This time Ezekiel Elliott follows Noah Brown's block through the hole for a nine yard gain. Again, it's Noah Brown taking on a linebacker at the point of attack and neutralizing him in the hole with good leverage and positioning. Brown holds him up long enough for Elliott to get by him for a nice gain. This time the Dallas Cowboys are in a two tight end formation to the right side with a single wide receiver to the left. They bring Brown in motion to the weak side and Brown is the lead blocker for Elliott. Brown shows a lot of patience working behind Xavier Su'a-Filo and Cameron Fleming as he works to the second level. Brown holds up the defensive back long enough for Elliott to turn the corner and out run the defensive back for the first down. This is one of my favorite plays from Brown's day. He's motioned wide to the numbers, but hustles to the inside to seal the defensive back, which puts Rod Smith in a one-on-one situation with the safety as he takes the play wide. Smith is nearly able to pick up the first down before being forced out of bounds. Also, what are you doing Rod, stay in bounds. This is another favorite of mine. Brown again on the outside of the formation is working against a cornerback and completely eats his lunch. From a wider view, you can see the DB begin to get frustrated. Brown drives him nearly 15 yards downfield and continues to work him even after the play is over. It's this tenacious work as a blocker that keeps him getting snaps and may see him get even more snaps moving forward. It may be his blocking that got him on the field, but Noah Brown has another element to his game that is pretty underrated. This is the kind of win you want to see from your fifth wide receiver when you give him an opportunity. Noah Brown runs a comeback route by driving the defensive back downfield and creates a ton of separation at the top of his route and provides a large window for Quarterback Dak Prescott. Brown isn't satisfied with just the reception as he turns up field and with a block rom Ezekiel Elliott gets some nice yards after the catch. It's a huge pickup for Brown who doesn't get a lot of targets in this offense. We've seen Noah Brown take on corner backs, safeties, and linebackers and when his blocking assignments. When Brown is on the field, he adds an excellent blocking element, which is why I think they need to use him more and more as the season moves forward. 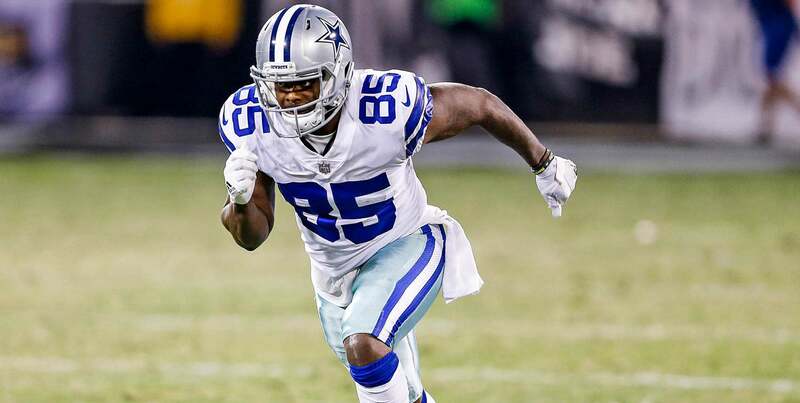 He brings more to the table than either Blake Jarwin or Rico Gathers at the tight end position, so the Dallas Cowboys should look to use Brown as a "light end" when they want to have a tight end on the field. At worst he should replace your second or third tight end when the Cowboys want to resemble 11 or 12 personnel. 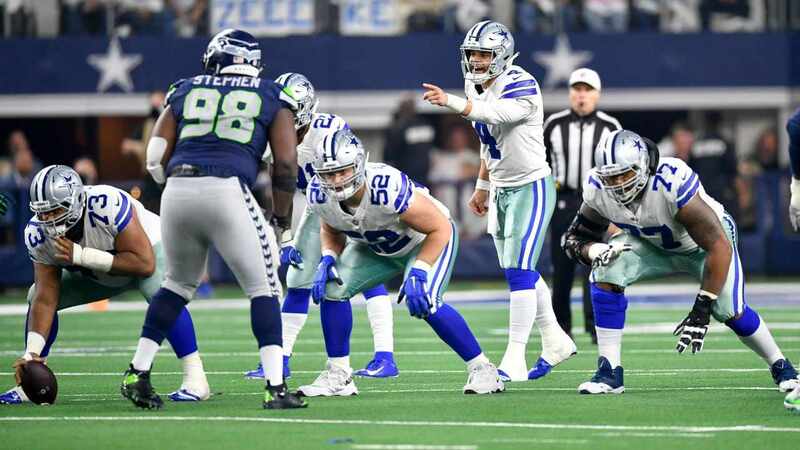 Noah Brown as the team's "light end" is a matchup problem moving forward if Head Coach Jason Garrett and Offensive Coordinator Scott Linehan want to use him that way. When the Cowboys go with Noah Brown instead of a tight end, it forces the opposition to make a difficult decision. Do they keep their defense in nickel and risk a linebacker having to cover someone like Cole Beasley or Amari Cooper in the slot, or do they bring their dime package on the field and risk a size/talent mismatch between Brown and the fourth corner. The NFL is about mismatches and the Dallas Cowboys have several and Noah Brown is one of them. It's time to increase his snap count to take advantage of his blocking and receiving ability.